Tony Luke’s Cheesesteaks — an internationally recognized brand that brings guests “The Real Taste of South Philly”— opened the doors of it’s newest franchise at 9762 Katy Freeway Houston, TX 77055 on October 12, 2016. To celebrate this momentous occasion Tony Luke’s will dazzle guests with three days of fun filled, appetizing events featuring Tony Luke Jr. MBB Management has organized the events that will span from this Thursday, Oct 20th through Saturday, Oct 22nd. Don’t be just another face in the crowd! Stand out and show your cheesesteak pride in a Historic Tony Luke’s Commercial. Tony Luke’s invites all cheesesteak lovers and fellow Philadelphians to join us on Saturday Oct, 22nd at 11 AM to take part in the filming of our Tony Luke’s H-Town Commercial. 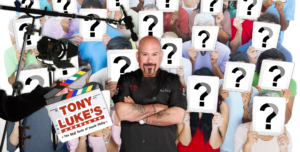 Brush up on your acting skills and stand behind the camera for a performance with Tony Luke Jr. Tony’s acting resume includes films such as “The Life and Death of John Gotti”, “Invincible”, ”10th & Wolf” and the star of “The Nail”! All that acting is sure to make you hungry so Tony Luke’s is offering a FREE Cheesesteak and drink to all those who participate in the filming. We’re putting the star on your dressing room door now so don’t be late! “The Real Taste of South Philly” can now be enjoyed right in Downtown Houston! That’s right, you heard it correctly. Tony Luke Jr. will be presenting his Cheesesteak Ten Commandments during a special meet n’ greet at the new Tony Luke’s in Houston on Thursday, Oct, 20th from 6 – 8 PM. Tony is considered a higher power when it comes to cheesesteak ideology, so all those wondering what these Ten official cheesesteak dos and don’ts are will be enlightened. 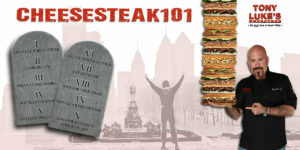 What better way to reveal these Ten famed Commandments than with a town hall meeting that boasts a sampling of Tony Luke’s iconic cheesesteaks, roast pork sandwiches and other world famous traditional sandwiches. Tony Luke’s would like to show their gratitude to the extraordinary people of Houston for the warm and welcoming reception into their hometown. 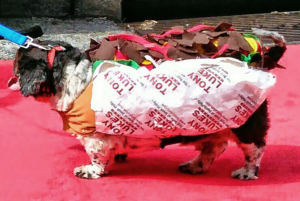 On Friday Oct, 21st from 6 – 8 PM, Tony Luke’s will host a “Dollar for a Dog” day! Enjoy Tony Luke’s mouth-watering Cheesesteaks and Traditional Sandwiches while mingling with Tony Luke Jr. and supporting the Houston Humane Society. Tony Luke’s will donate $1.00 for every sandwich purchased that day to help a furry friend in need. So let’s get together H-Town style, have some some fun, eat cheesesteaks and support the Houston Humane Society. 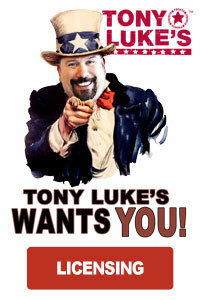 For more information on the Tony Luke’s franchise, visit tonylukes.com/franchise, email [email protected] or call MBB Management at (609) 744-0132.